Adults: $100 USD per person. Infants: 0-2 yrs old. $25. Includes baby chair. Children: 3-10 yrs old. $75 USD. One meal (breakfast or lunch depending on departure time. Tram ride accompanied by a guide. 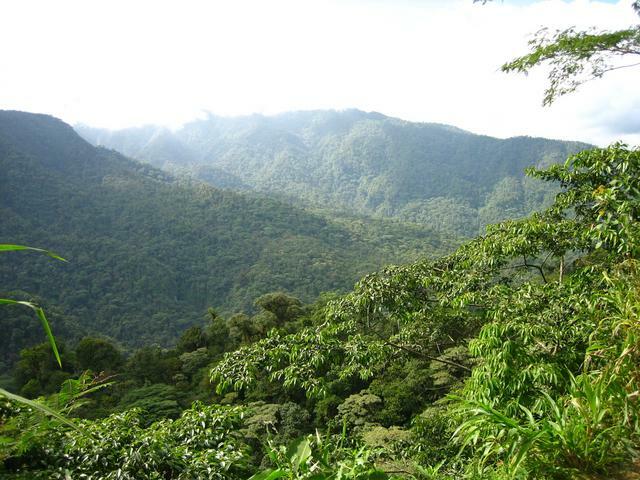 Twenty minutes outside of San Jose you will cross the Continental Divide and enter Braulio Carrillo National Park. After a half hour trip through the park, the bus will reach a 1000 acre private reserve of virgin forest. 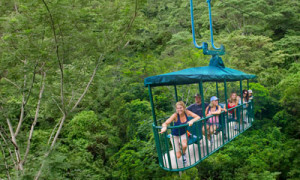 After a quick briefing on canopy exploration and the construction of the tram, visitors divide into smaller groups for a 45 to 90 minute (optional) nature walk with a trained naturalist guide. 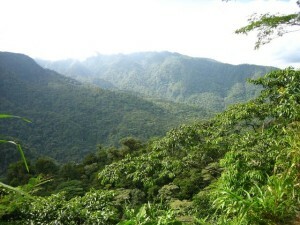 The trails are well-groomed and provide an excellent introduction to the rain forest. Time now to board the Aerial Tram. 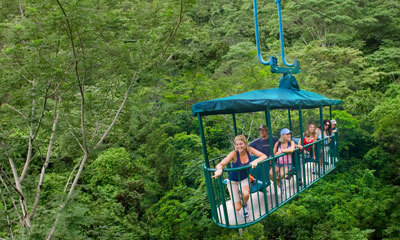 The Open-sided cable-cars hold 5 passengers and a guide. The guides are quite knowledgeable about flora and fauna. They’ll point out orchids and different species of trees and are quick to identify the calls of the many birds that inhabit this unique environment. What to Bring: sunscreen, hat, raincoat, jacket for the cold. Return details: Returns to original departure point at approximately 1:00pm or 5:30pm.